Hearts Over Water Covered Bridge is located on the walking trails in the Fairhaven Retirement Community in Sykesville. 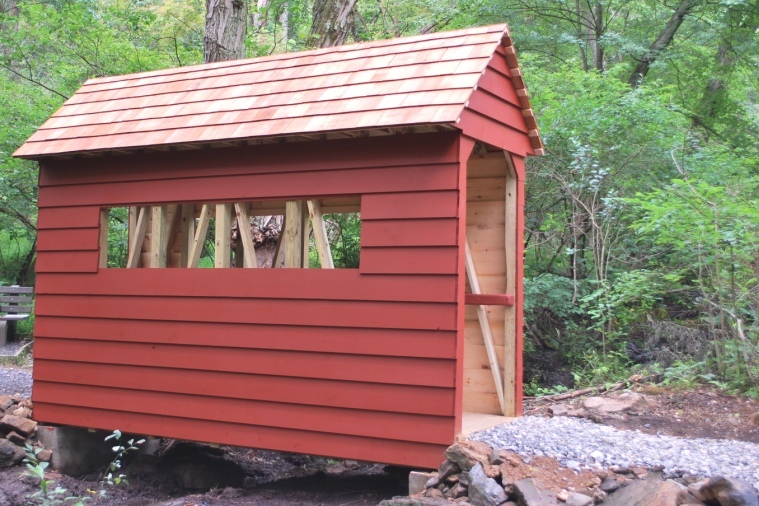 The bridge is 14' in length, 4'-2" wide, 9'-9" from the walkway to the roof peak and has a cedar shingle roof. Hearts Over Water Bridge was built by Boy Scout Troop 393 in Westminster, Maryland. Completed July 27, 2010, it was the project of Life Scout Sean Corbin. 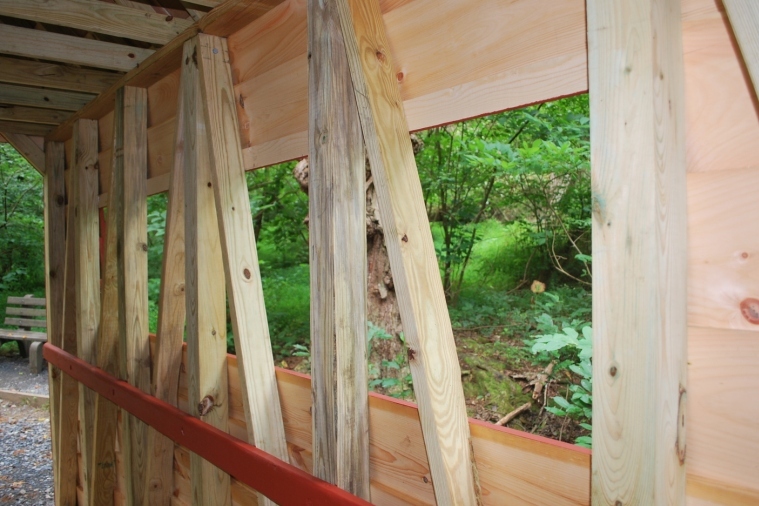 Corbin patterned the bridge on the design of the Loys Station Covered Bridge in Frederick County. It crosses an often dry ditch, probably a small stream or branch from Piney Run. The Fairhaven Retirement Community is on Private Property and you MUST ask permission to see the bridge by calling the reception desk phone number in advance at 410-795-8800. Photos taken August 2,2010. 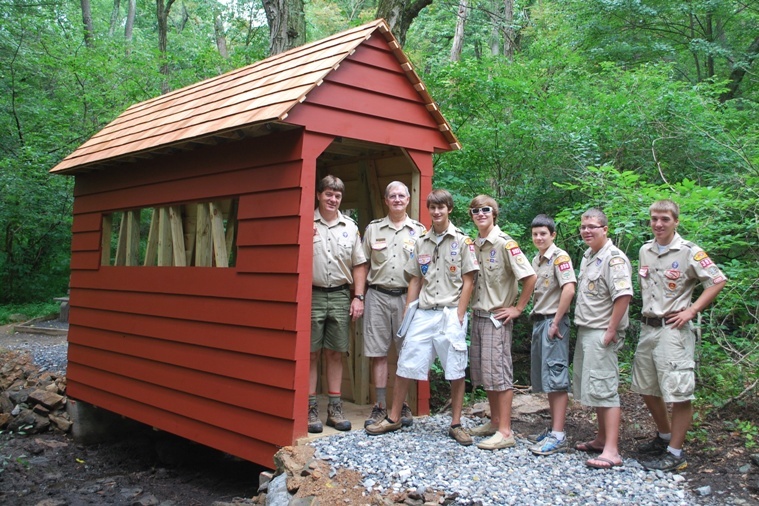 Scouts and Scoutmasters of Troop 393 Westminster at the Hearts Over Water Covered Bridge, August 2, 2010. Life Scout Sean Corbin is third person from the left. Interior view of Hearts Over Water Covered Bridge patterned after the Multiple Kingpost truss of Loys Station Covered Bridge in Frederick County, Maryland.